Doors 3 Now Open for Submissions! With Doors 2 two years behind us, the 3rd installment of the project has officially started it's recruitment! As with the last ones, Twilacorn will be the main character traveling through a multitude of dimensions via doors. Head on down below for a video explaining all the rules! Fallout, OC Pone love, and a radio play that definitly needs a better cover image join us for today! 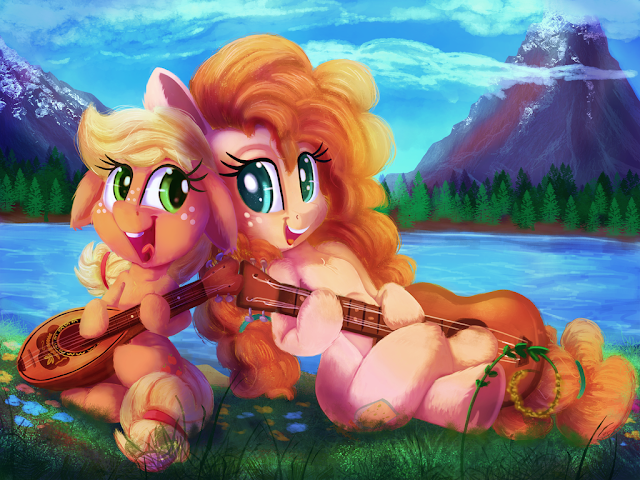 Head on down below the break to listen to cartoon horses. I wonder how many years AJ had to spend with her parents before they passed? What sort of memories were made before that fateful day? Regardless, I hope their memories were happy ones. Discussion: Are You Happy with How Luna Ended Up? 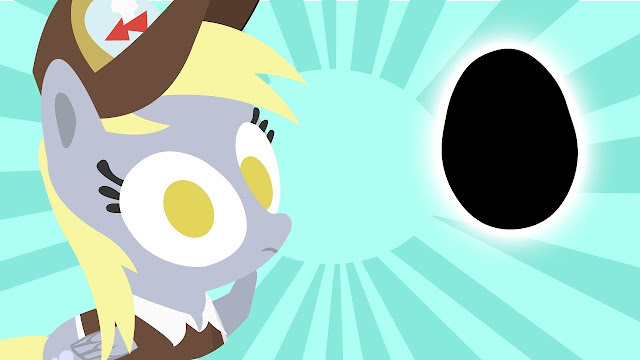 Since Luna keeps winning polls even 8 years later, I figured it might be a fun idea to bring back an old discussion from way off in the early days. When she was first revealed in season 1 during the opener, many a pony fan had high expectations for the moon horse. We went an entire season without ever seeing her again, and speculation on how they would handle her big return went in every direction imaginable. Fanfiction is where she really took over the world, with hundreds of them giving her every personality you can possibly think of. Some were silly like her comic version, some were more like what we ended up with via a somewhat serious and brooding pony, and many more explored ideas that the show never touched on. We've had a lot of time to get to know Luna. Even more than her sister at this point. Do you like how she ended up? Is there a fandom idea you would have enjoyed more involving her instead? Been a while since we had one of these. You all need to craft some more pones! Below the break, start with statues and customs of ponies, followed by general crafting stuff below that. That one time when Starlight Glimmer's talking spell actually had a weird side effect that Big Mac didn't wake up to until the next day. Art below! Go get it all. 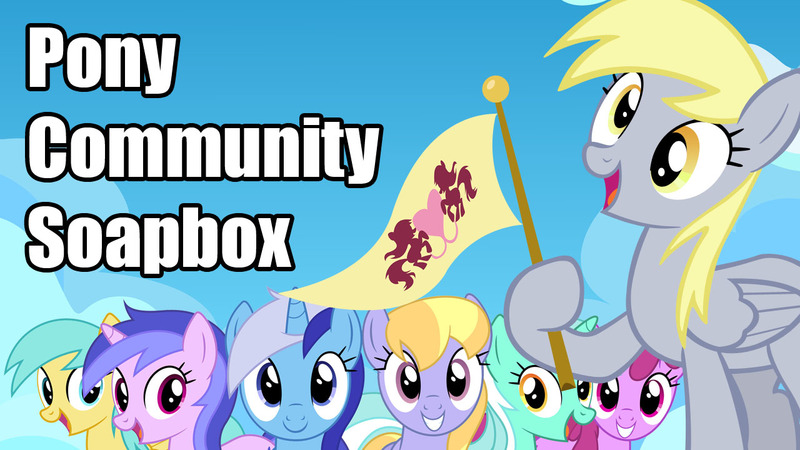 Pony Community Soapbox #86 - Future of EG, Starlight and Feminism, Sunset's Next Goal, and More! What is Sunset’s next step? 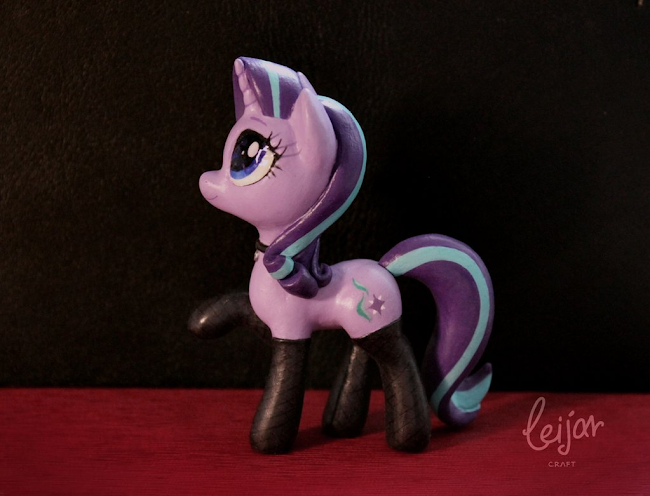 No such thing as "unlikely"
Shuxer has once again popped a video up showing off his creation of another incredible pony sculpture. An incredibly well detailed Twilight Sparkle. It's crazy how this static figure feels so animated. April Fools...! A little late. We have some videos that kinda got lost in the shuffle. I blame PonAI. It kinda picked the wrong pony and sent me off the deep end. Get an animatic, animation, and jokey mail thing below! Boooola. She's here again. Always here. 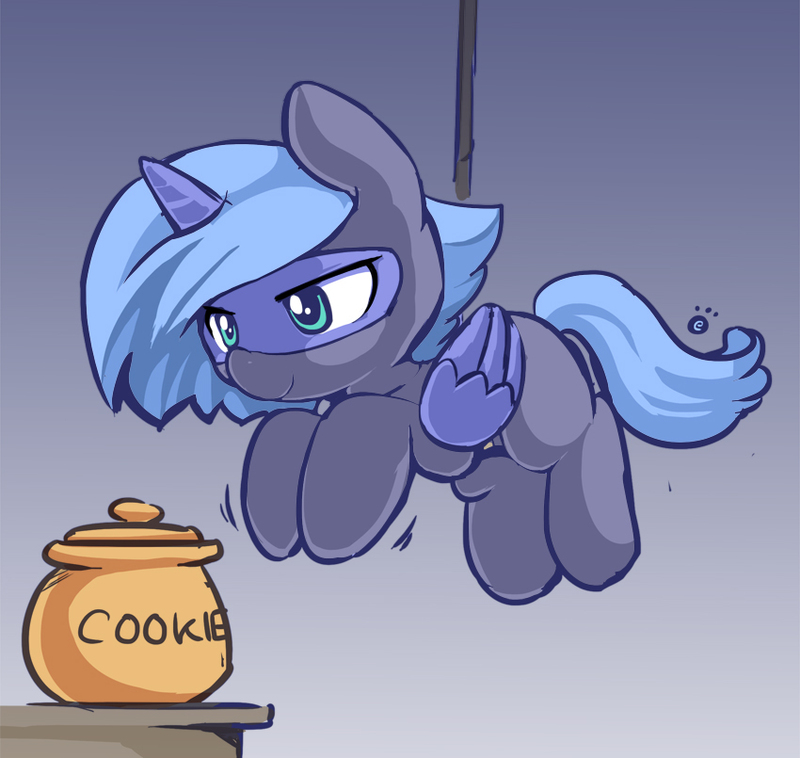 The 2nd best pony on EQD clearly. Get a bunch of 3D Pones below! Voting Opens For Top Pony Music & Videos of March! The top pony songs and videos for the month are up for voting! If you have any favourites from March that you'd like represented in these community lists, then make sure to give them a vote! Check out both the voting videos below the break. 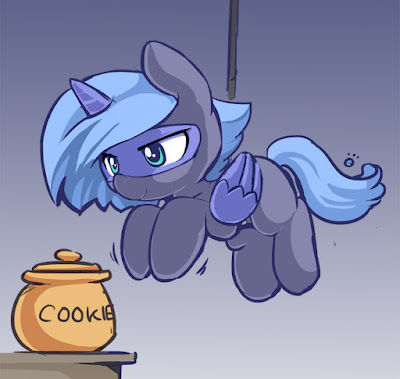 This morning is dedicated to Limestone Pie. Say something nice about her. She might act like she doesn't appreciate it, but deep down she does. 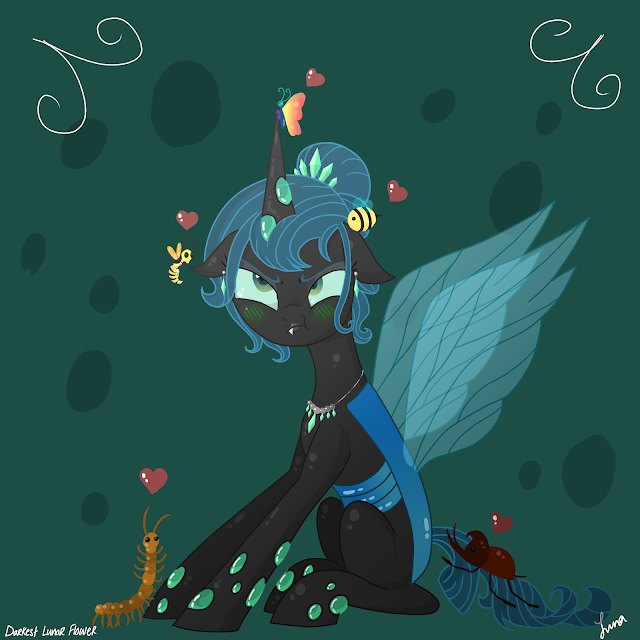 It looks like giant bug queen has won the affection and adoration of ALL the bugs. These bugs obviously have good taste, Chrissy looks adorable here. Just look at that single protruding tooth, those blushing cheeks, and that fancy new mane style. Pinnacle of bug adorableness and sophistication right here. Morning all you pones, hope you slept well and are ready to chat!